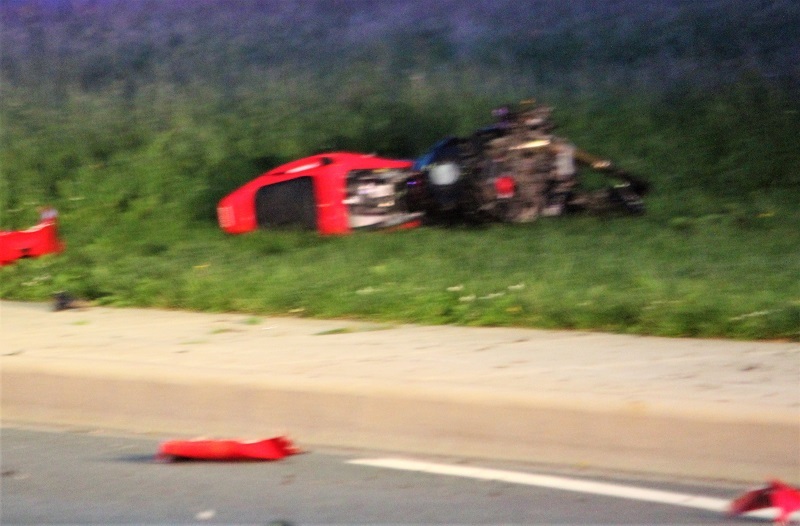 Newark – The Newark Police Department Traffic Unit is investigating a serious collision, involving a motorcycle, that took place at approximately 8:21 pm on Monday night, May 21, 2018, according to Sgt. Gerald Bryda. 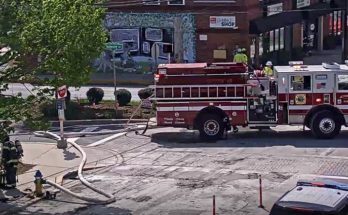 Bryda said the initial investigation indicates that a burgundy 1999 Honda Accord, operated by a 30-year-old female from Newark, was eastbound on Elkton Road approaching Thorn Lane – in the left turn lane – preparing to turn left onto Thorn Lane. A red 2005 Honda 600cc motorcycle, operated by a 27-year-old male, also from Newark, was westbound on Elkton Road in the right thru lane, also approaching Thorn Lane. 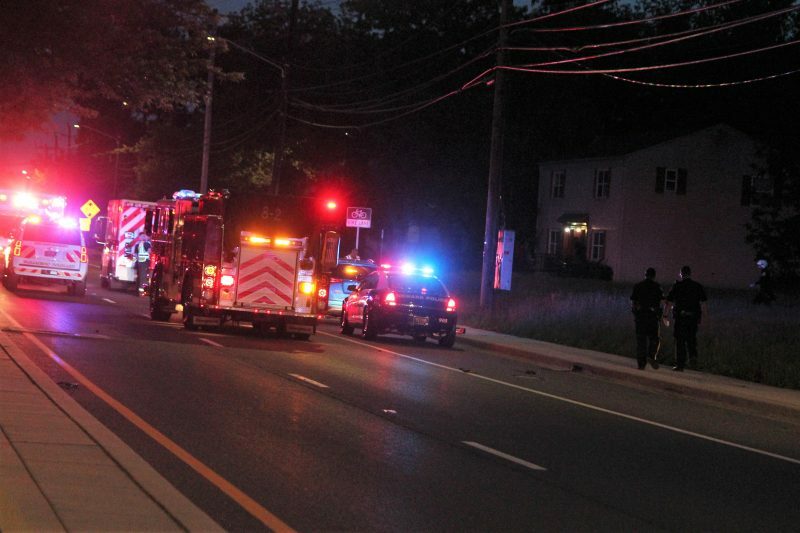 As the light turned yellow for traffic on Elkton Road, the Honda Accord made a left turn and struck the motorcycle as they were both passing through the intersection, said Byrda. 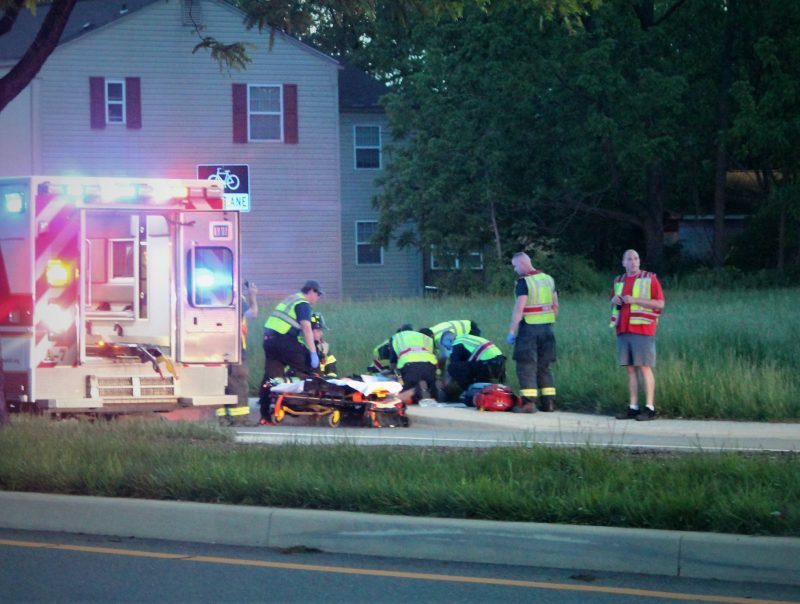 The motorcycle operator was ejected from the motorcycle and came to rest on the sidewalk on the north side of Elkton Road, west of the intersection with Thorn Lane. 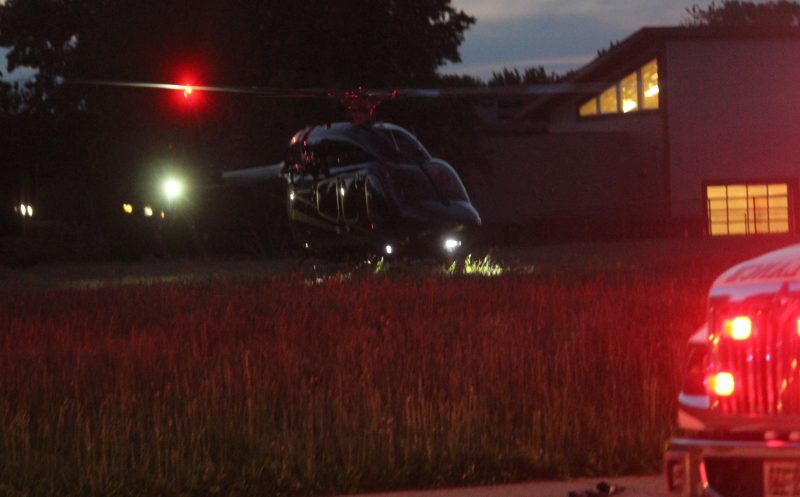 The motorcycle operator, who was wearing a helmet, was transported to the Trauma Unit at Christiana Hospital via Trooper 4. At this time, it does not appear as though the motorcycle operator’s injuries are life threatening, said Byrd. The operator of the vehicle did not sustain any injuries in the collision. Police are continuing the investigation and charges are pending. 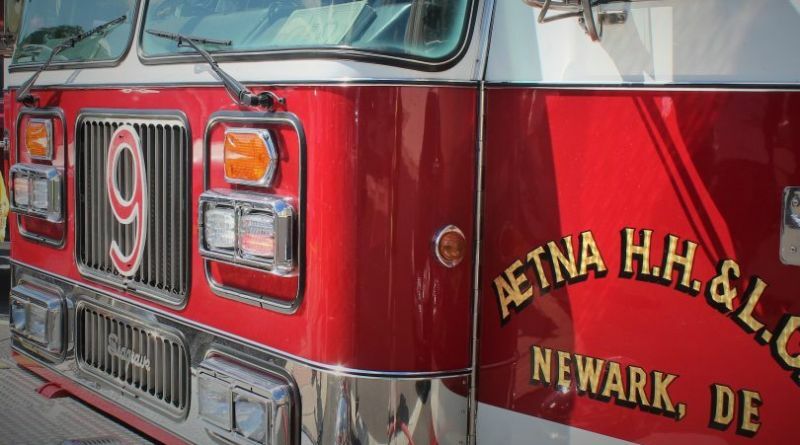 Newark – At around 8:30 this evening rescue crews from Aetna Hose, Hook, and Ladder, along with Newark Police and New Castle County Paramedics have responded to Elkton Road and Thorn Lane for an accident involving a motorcycle. Upon arrival, crews have found a motorcycle that has been badly damaged, with the rider ejected into the roadway. 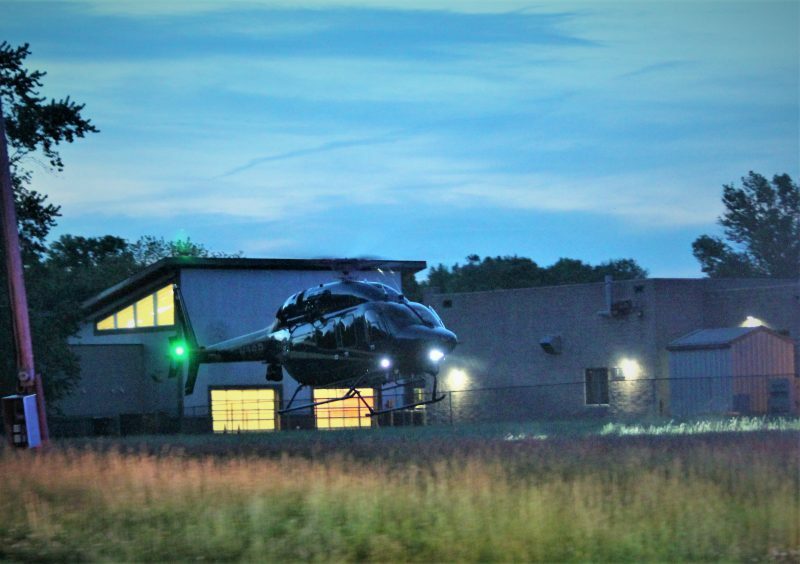 The rider has been transporter to the Trauma Unit at Christiana Hospital via Trooper 4. Elkton Road westbound is closed at Thorne Lane as Newark Police Investigate.